going to the crystal castle in Mullumbimby was something I wanted to do for ages. Seeing giant sized crystals used as garden ornaments was really cool but this is the sight that had me enchanted. 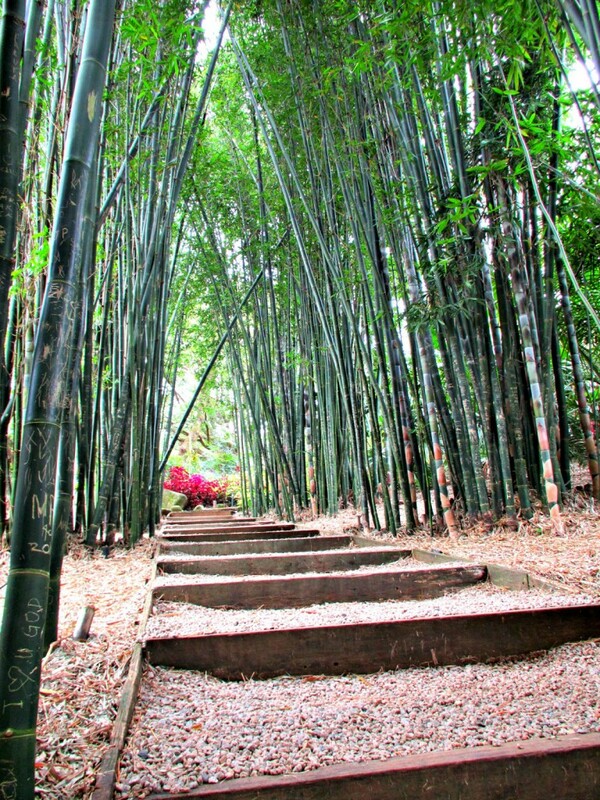 They had planted an avenue of bamboo, creating a cool shaded breezeway with whispers in the wind. Sounds like a great place to visit! I love the idea of giant crystals as garden ornaments, but that trail is amazing! It is a magical place to visit Mandy, hubby and I were only talking about perhaps going there again soon. Neat! Inviting walkway with a bit of mystery. So inviting road and such peaceful place to have a walk in the magic of nature!! I’ve never seen before such place only in documentaries! Amazing view of the bamboo trees! What a tease! Now I will have to come back to see the crystals!!! I love this image!! The stairway itself, bordered with the bamboo, and the red leaves at the top!! Has a magical feel to it! Great photo. That path is truly enchanting! I just love those towering bamboos. Great shot!